Whether you bring your own or collaborate with us to create them, all of our best work starts with well-laid plains and imaginative designs. Whichever approach you choose, we can help you refine your ideas and plans to ensure that they are not only achievable but also everything you imagined. Your big idea can become a reality; it’s all a matter of a considered approach and a keen eye. There will be no nook, cranny or concept that is not checked and rechecked for style, practicality and feasibility. Everyone involved in making your dream home a reality will get a say before any ground is broken. This means you, our team and your local council shall examine all finalised concepts prior to implementation; this ensures that every aspect of the build, whether it is a full home or an extension, is above board in the minds of all concerned. With everything drawn up and approved, the fun can begin; and we do mean fun. With us on your side, the construction and completion phases of the project are more of an adventure than a hassle. We eliminate all the confusion and chaos, managing every detail for you, communicating with every added trade required to complete the job. The Buckley Brothers Homes team will be there by your side during every phase of the project, acting as your guide and your friend. 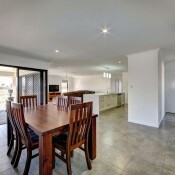 Buckley Brothers Homes, taking the stress of creating your dream home. Call Dan on 0417 608 881 or Jesse on 0402 132 912 today to find out more.